All About Real Estate Auctions: Multiple Offers: A good thing? Getting multiple offers on a property is a good thing, right? 2 offers is usually not a problem, but what about 3, 4, 5, 6 or more? On one level it's a good problem to have, but it sure can be a lot of work. That's why I love the online auction model for real estate. You can get all interested buyers competing online in an open format and all the negotiation happens automatically. It's much easier, exciting to watch and you end up with the highest price for your seller. To me, it just makes sense. The process is more effective than the "list & wait" model and our market needs something that will attract more buyers and accelerating the sale of properties. 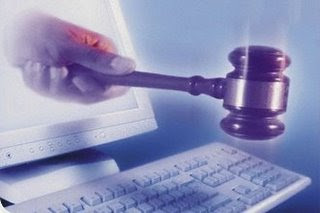 What I don't understand is why I'm finding only few real estate agents open to the concept of using online auctions? Is it too new? Does an "auction" have a bad connotation? Do agents not understand the process? Maybe all of the above? Why the resistance and hesitation?